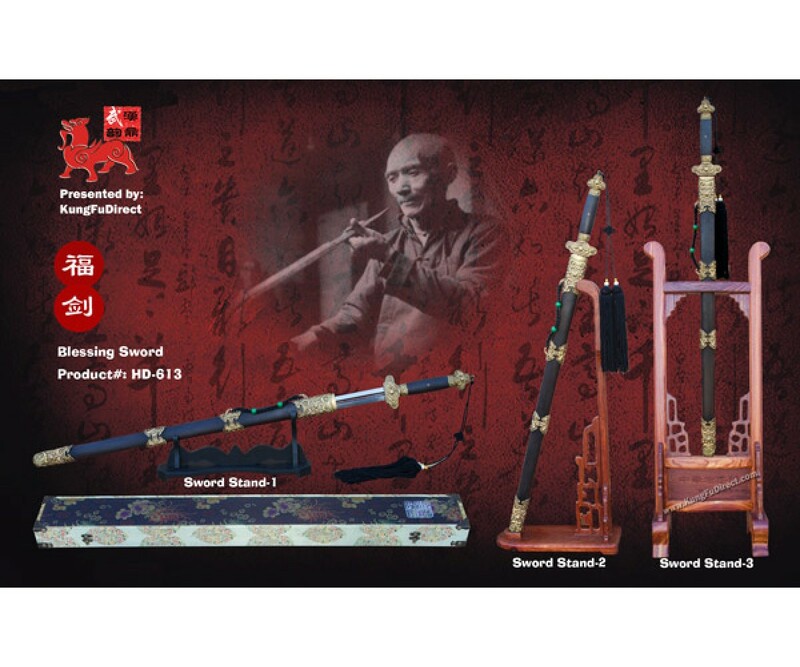 This beautiful sword features antique brass fittings. 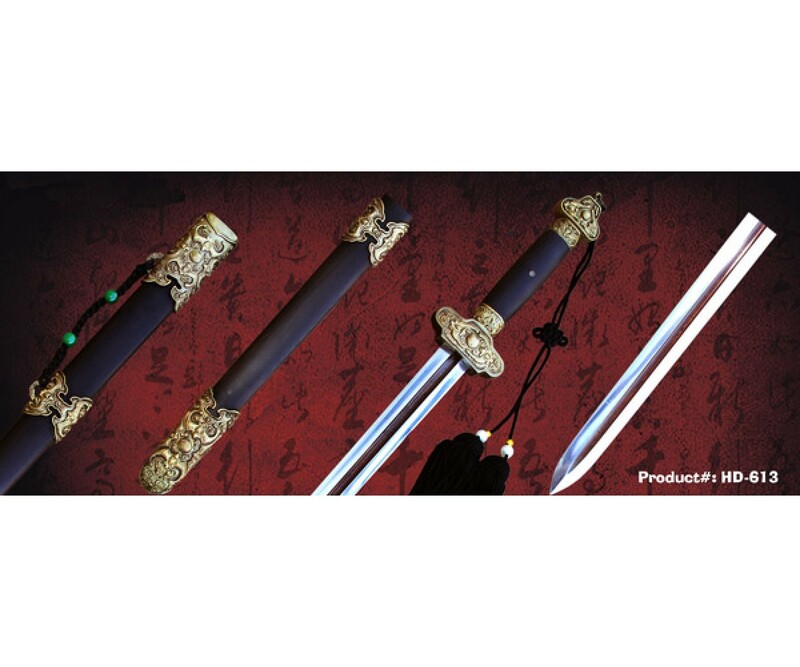 The blade is forged by the damascus steel ( bai lian hua wen gang 百炼花纹钢) "water wave pattern steel” technique. 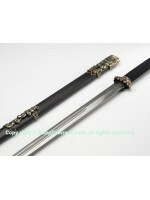 Ebony wood (hei tan 黑檀）handle and scabbard.